We continues to make significant additions to our eBook store. For the first time in India, technology ebooks from publishers like Cambridge University press, Tata McGraw Hill, Elsevier, Taylor & Francis, Pearson and John Wiley & Sons have been made available on a single platform. Readers can now legally purchase and instantly download digital eBooks from each of these publishers. 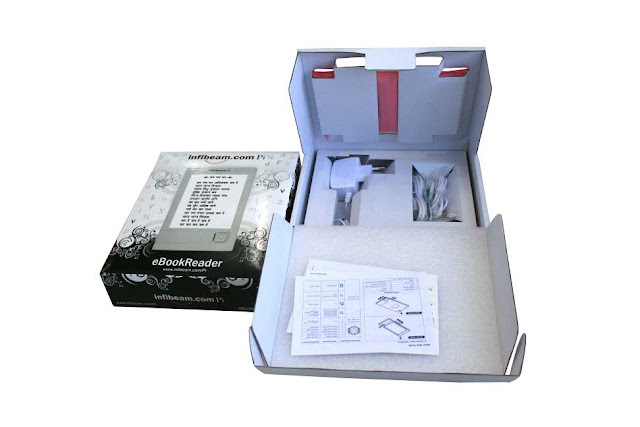 These eBooks can then be ported and read on 5 devices including laptops, computers, tablets, mobile phones and eBook readers. After the success of Infibeam Pi, India's first EBook reader and the launch of eBook titles on our Portal, we had a constant demand for technical eBooks for students and professionals. To be able to cater to this specific segment, We introduces eBooks from renowned technical publications today. Our present catalog of almost 1 Lac technical eBooks are from the largest publication houses and we look forward to enhancing the catalog. With this addition the total number of eBooks we crossed 5 Lacs, making it India's largest eBook store. eBooks besides being cheaper than physical books provide the advantage of instant access as soon as you purchase them. Further they are also eco-friendly and save paper. We launched Phone shopping; another first of its kind initiative where-in users can simply place orders for products of their choice over the phone. With cash on delivery being a big success, we wanted to couple it with an even more powerful tool, the mobile phone. With the penetration of mobile phones growing tremendously, our customers now need not be on the internet to be able to order products from Infibeam. 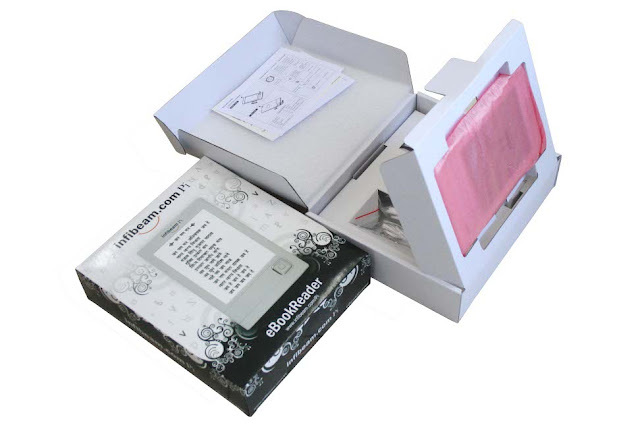 Besides providing users with the largest selection of books, electronics, gifts and lifestyle products at extremely competitive prices, Infbeam also provides them with best in class shopping features and customer service. Further, the whole ordering process has been redesigned to minimize the ordering time for the customer. We have investing heavily in ramping up our customer service and processes to ensure a very smooth experience to customers. Currently customers can call up anytime during regular office hours, 8AM to 8PM from Monday to Saturday. Order today and receive your books the next day. We have collection of more than 100 Lac titles on our platform launches Next day delivery of a wide range of books to key metro cities and towns. Next day delivery is expected to decrease customer's anxiety while purchasing online as it reduces the wait time for getting the books delivered. We have always tried to 'wow' the customer with features which increase convenience for him/her. P.S. As always, we are open to feedback, suggestions and criticisms. So please do write to us (via Twitter or Facebook) on how we can make your online shopping experience better. We are listening. Today we announced the launch of Cash on Delivery (COD) service on our website. In addition to COD, We offers a wide range of Indian & international options for online payment including credit cards, debit cards, netbanking, cash cards, Paypal etc. Online shopping is still a fraction of the total retail market in India. One of the key reasons for lower penetration of online shopping in India is attributed to the under penetration of electronic payment methods. Through COD payment option, We intends to make online shopping accessible to a segment of customers such as students and small businessmen, who do not have access to credit & debit cards. Cash on delivery also opens up Internet shopping to customers who are reluctant to use their cards online due to security concerns. 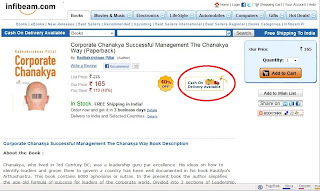 We are introducing Cash on Delivery payment option on a large selection of books, gifts and electronic products. The cash on delivery facility will be provided free of cost to all customers with no order minimums. 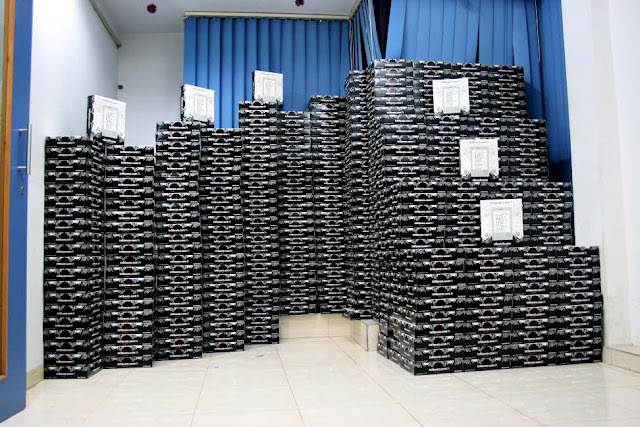 COD can be availed on a catalog of 1 million products and will be extended to 10 million, in the coming months. The service will be available across over four thousand zip codes in 70 Indian cities and will very soon be extended to Tier 3 & 4 cities in partnership with Indian Postal Service. We would love to hear your feedback and suggestions, so please do write in and let us know what you think. Interview with Radhakrishnan Pillai, author of the book "Corporate Chanakya"
Continuing our discussions with some of the fabulous authors in India who are coming out of the woodworks these days, we got to chat with Radhakrishnan Pillai, author of the book "Corporate Chanakya". If you did not know about Radhakrishnan already, he has been awarded the Sardar Patel National award 2009 for his research on Chanakya and his principles. And this first book "Corporate Chanakya" has created a record for the highest number of pre-release sales for any first book of an author. Q. Tell us about your journey from a manager to a spiritual leader/management guru. I started my corporate journey as an ordinary sales person. From there I went on to work in various companies and industries. I held many positions from a sales manager to a production planning in charge of a jewellery factory. The last job was handling All India sales for a publishing company. However, from the year 2000 onwards I went to start my own business venture called Atma Darshan www.atmadarshan.com which was the biggest turning point in my life. To better my business I went to study the Chanakya management ideas of Kautilya's Arthashastra and in no time I started training and teaching people on leadership and management. I will give the full credit of the success in my life as a spiritual leader / management guru (as you have called me) to Chinmaya mission - www.chinmayamission.com. This is a spiritual organisation where I got trained from my chidhood. I also learnt Kautilya's Arthashastra at Chinmaya International foundation (CIF) www.chinfo.org which is the research and academic wing of Chinmaya Mission. Q. How did you become fascinated with Chanakya and his 'darshan'? Tell me who is not fascinated by Chanakya? 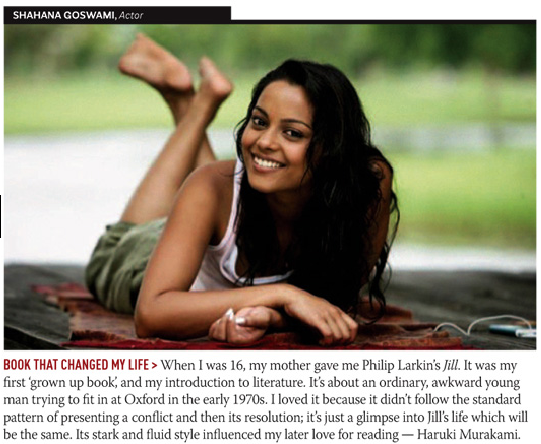 Even I was like any other Indian. He is a person who is symbolic of dynamism and energy. However I just went an extra bit by studying the work of Chanakya - the Kautilya's Arthashastra (containing 6000 sutras) in detail. Q. How easy is to live digest & implement 'the Arthashastra'? If you have a will it is very easy. If you have excuses you never start. Infact I have written in my book I got inspired to study the Kautilya's Arthashastra at Mount Kailash the divine place where I got an inner calling which said, "Do not just study the Arthashastra - live the Arthashastra'. Any person can do it. One has to just start the remaining follows. As the well known saying goes - Take one step and lord takes ten steps for you... Finally it is Divine help that keeps you on the track. Q. Why do you think Chanakya’s model is still relevant in today’s society & especially in today’s management per se? Because Chanakya's ideas go beyond time. These are eternal principles of management that for over 2400 years have been studied and practised by kings. It will benifit our generation also you will see the practical application in the book Corporate Chanakya itself. Q. Is there any point where you disagree with Kautilya and if yes, where & why? Not really. Yes as a student I had my own standpoint and opinions.However as I grow more mature I realise that Chanakya could never be proved wrong as he was a man of perfection. How else could a book like Arthashastra survive for such a long time? But at the same time please note one need not agree on everything the Chanakya says with blind faith. Chanakya himself says that till one is logically convinced one should not accept anything. So if you study Arthashastra with the attitute of a student in the long term one will understand that Chanakya can never be wrong. Q. How did 'Atma Darshan' happen to you? 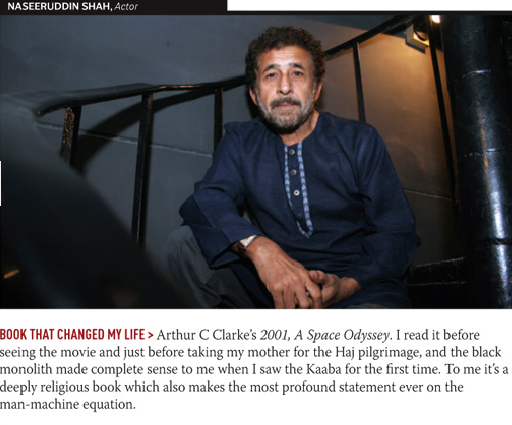 Yes you are right - Atma Darshan 'happened' to me. I was an employee who got turned into an employeer. There is an incident that happened. In year 2000 I was sitting with Swami Tejomayanandaji, the current global head of Chinmaya Mission. He asked me "What are you currently doing?" I said, "Looking for a change of job". He smiled as said, "Our Gurudev Swami Chinmayananda said - Youth should think of creating jobs rather than seeking jobs..."
Here was a divine indication that I have to start something on my own. But did not know how. Since I was interested in spirituality since childhood and travel was my passion my first company was in the field of Spiritual tourism. Swami Tejomayanandaji himself gave the name 'Atma Darshan' to my company. The success of my company clearly goes to my partner Mr Venkat Iyer who took it to the great heights it has achieved in the past few years. Q. What inspires you most to remain focused on your values? My Guru Swami Chinmayananda. He is my role model and I have been inspired by this teachings. Q. 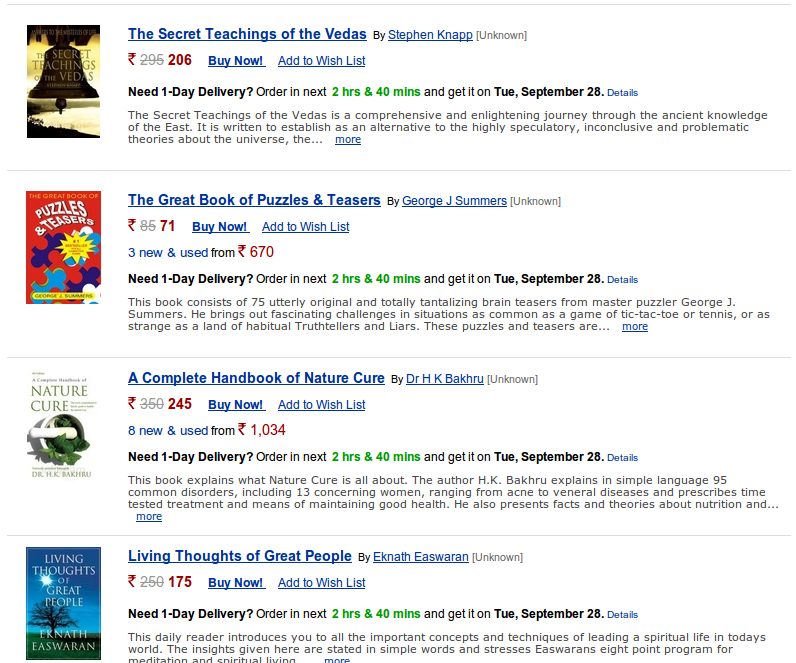 Your book is now India's top selling management book. What do you have to say? For the first time when my friends at Jaico publishing asked me to write a book they said. Your book will become a best seller in no time. As a first time author I liked their idea but did not know how it will turn out. However the book has created records since its release on 15th Aug 2010. In less than two and a half months of its release it has already gone for 9 reprint editions. For a first time author of a book it is more than a miracle. The appreciations that I have been getting from across the globe is amazing. Infact the dean of Yale university is coming down to meet me to discuss about me and the book. This book has already been introduced as a text book of management in more than 200 Business schools across India and abroad. So all this in just two and a half months.. they best has not even started....We are still at the tip of the ice berg. If course any author will be happy by these achievements. But what I like is those who buy this book actually gift more copies to thier friends, relatives, employees, clients and even their bosses. That shows one has really liked the book and want others to know about it. I thank by readers for making this book a grand success and a national best seller. Q. 'Kautilya was a mentor, not a boss' - What would be your advice for today’s corporate bosses? The word 'boss' seemes to put of people. Because it comes with negativity and fear. While a word 'mentor' is like a teacher and a big brother who guides you in the path to success. So I advice all the bosses should turn to become mentors and all subordinates to become students. Thus the flow of knowledge from the senior to the juniors will be complete. The corporate world has already understood this fact. Narayan Murthy calls himself the 'Chief mentor' of Infosys. So does Bill Gates. Subroto Bagchi calls himself 'Chief Gardener' of mind tree consulting. You can also create this change in your companies. Q. Apart from "Kautilya's Arthashastra", which other books are close to your heart? The Bhagwad Gita, Upanishads, Mahabharat and work of saints of India. Q. Tell us about your next project? 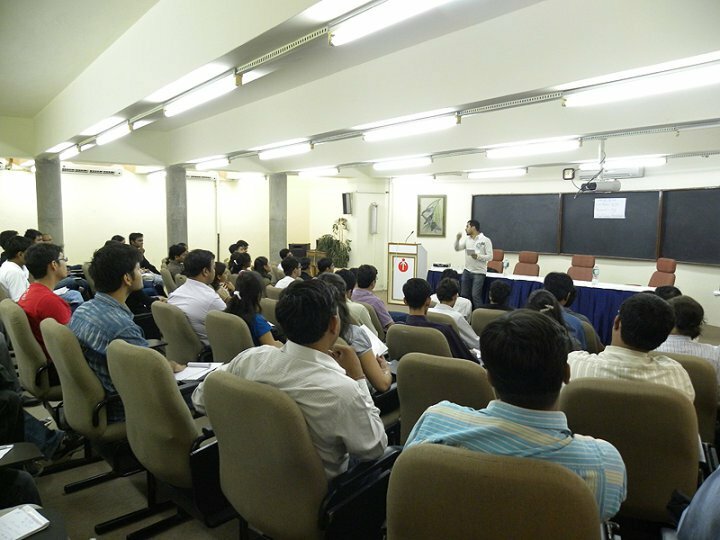 Chanakya Institute of Public leadership (CIPL). We have started this institute to create future leaders for India. This we have started with partnership with University of Mumbai, department of Philosophy. My other director Ranjit Shetty have been instrumental in creating this institute. Here we teach the complete 6000 sutras of Arthashastra in a 6 months residental program. Pl check www.ciplmumbai.in. The best part is that the course is completely free of cost to the students. This is a good project to create a model of 'Good goverance' for India. One of my friend and fan Usha created it. She says its important to use technology to spread ancient wisdom. It feels nice to see the following I have in the cyber space. We are spreading Chanakya knowledge across the globe via a medium like Facebook. Q. How did you feel when you received the Sardar Patel award? This was my first International award. I received this on the 1st of January 2010. It was a wonderful feeling especially when Sardar Patel himself has been one of my role model as a national leader. Starting from this award the year 2010 turned to be very lucky for me. I started my Institute CIPL this year. Became father this year - my daughter is named Aanvikshiki (coming from Kautilya's Arthashastra meaning strategic thinker & philosophy). 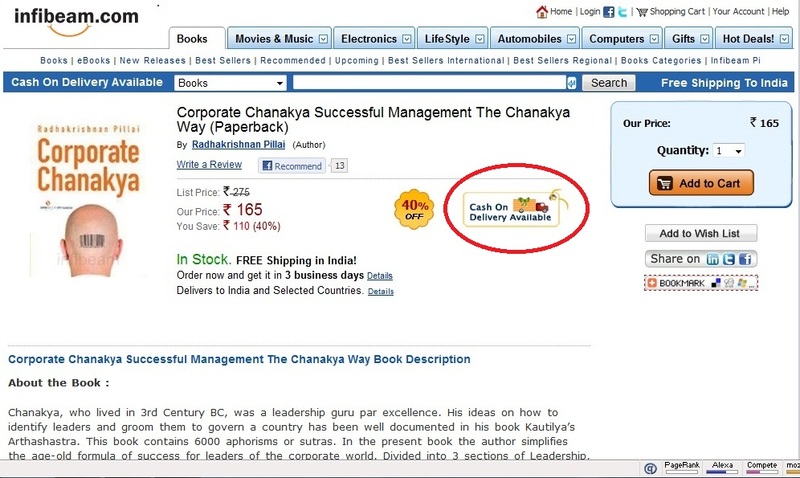 Also my first book 'Corporate Chanakya' was released this year. So in short getting the Sardar Patel international award was a begining of a very good phase in my life. Q. Any message for Infibeam book lovers? Buy this book. But do not just stop there. Read it completely page by page. You will discover a Chanakya in you. Many times people buy books read a few pages and never touch it again. Do not do that - read it fully. Then if you were benefitted, gift the same to others so that the knowledge can spread. We interview the best-selling authors on Infibeam from time to time to get to know more about them, (we chatted with Chetan Bhagat and Rashmi Bansal last). Devdutt Pattanaik is one such author - he is a medical doctor, a leadership consultant and an eminent mythologist. Mythology is his passion. He has authored books that hold the allure of mythology, and its relevance in modern times. His books are not merely bestsellers but have also been acknowledged for the depth of research and vision. Mythology was a hobby that I pursued in my spare time while I was working with the pharma and healthcare industry post my MBBS. Hobby led to writing of articles, then books, then lectures, and finally Kishore Biyani of the Future Group convinced me to make this my full time profession. How can you relate mythology & modern management? Myth is subjective truth. Mythology is the collection of stories, symbols and rituals that convey this subjective truth. Every culture â€“ be it religious or secular â€“ has its own myth. This turns into an invisible force that influences decision-making. Decision-making is the corner stone of modern management. Thus we cannot ignore the cultural, hence mythical, impact. Unfortunately, most people do. Only now people are realizing how critical a role culture plays in business. The only way to understand culture is through mythology. Coming to your book, what was the motivation behind the illustrated book? I had read many Mahabharatas but none satisfied them â€“ they did not tell many stories, they tended to assume heroism and villainy, they did not reveal the finer nuances of the epic, they were ignorant of the many versions of the epic, and most importantly, they did not contextualize the epic nor made it relevant to the modern man. A new book had to be written. When do we expect your next book? What is the theme for that book? I write several book simultaneously. So do not know which will be my next book. It will be on mythology for sure. Mythological books had a very different target segment until your writing gained traction. Now, a lot more people are getting introduced to mythological books & are enjoying them. You seem to be setting a trend. Where do you see this trend going? Mythology is universal and timeless. But some people assumed that they are not meant for logical and scientific mind. As these people are growing older and wiser, they are realizing there is no escape from mythology. So they are returning and I am facilitating the return journey. To know culture, our culture or anyone else's culture, one has to be sensitive to mythology. No escaping that. I feel I write in a language that the modern rational mind can connect with. Perhaps that is the reason many people like my books. I am not prescribing. I am merely reflecting. I am not being defensive or apologetic; I am simply being analytical. This appeals to young people. I don't know where this trend is going I guess, it will help people discover and understand their roots better. Was the cover art also one of your own illustrations? It is really powerful... Is there a story behind it? All the art in the book is my own. No story behind it. I realized that we have been inundated by visions constructed by Amar Chitra Katha, Raja Ravi Varma and Ramanand Sagar. Everyone needed a break. So I drew they way I imagined the past. If given choice, then who would you pick as your favorite mythological character and why? Ram of the Ramayana. Because everyone feels superior in criticizing Ram. Few wonder why is Ram, according to our ancestors, the only one worthy of being worshipped as king. 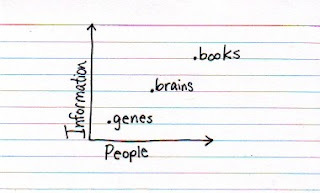 Either our ancestors got it wrong, or we are missing a very profound point. Which books do you recommend for our readers? Tell us a little bit about your TED experience. TED was fun as I did not realize how big it was. And how international it was until I really got there. I also realized how mythology is a very simple way to explain cross-cultural differences there. Any message for infibeam book lovers. Read. It allows you to travel into the minds of so many people. Buy a book this week and you can win an Infibeam Phi tablet device! So go ahead and buy a book from us, you just might be the lucky one to win an Infibeam Phi touch screen tablet device! Get books delivered the next day! Have you ever wanted to start reading a book as soon as possible? Maybe because you read a good review or a friend recommended it? But it turns out that you don't have the time to go to the store and buy it, which eventually means you delay buying the book until the weekend! Well, we have designed a new program with you in mind! Now you can get that book delivered to you the very next day via our Express Shipping option (for select books only). 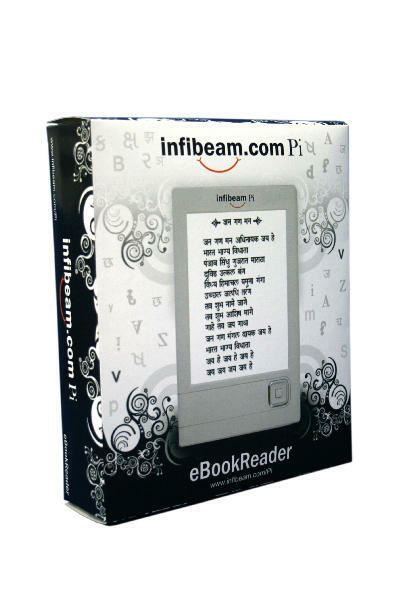 With a catalog of 100 lakh books with the lowest prices you can find anywhere and now next day delivery, there really is no excuse to not buy your next book right now from Infibeam.com! 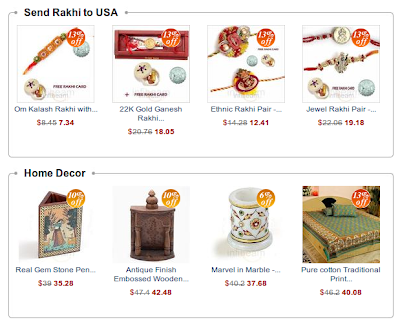 Infibeam has a lot of customers in USA and Canada who want to send gift items to their friends and family in India. Over time, we have been getting a lot of demand for delivering items to Indians in the USA as well. So we are now proud to announce www.infibeam.us for exactly this audience! Currently, there are six main stores of products. We will be expanding in future with more stores and more products. We would love to hear your feedback on what else you'd like to see on infibeam.us! As you have heard, India has a new symbol for its currency. The positive aspect of this new symbol is that the Indian rupee has its own representation, rather than the generic "rupee" currency as used by many other countries as well. Now carrying more Regional Books! Regional magazines and books are very popular in India, and we want to make these widely accessible to people everywhere. After much work behind the scenes, we are making available several titles in Hindi, Sanskrit, Punjabi, Gujarati, Marathi, Telugu, Tamil, Bengali and several other languages. The new section will include translations of classics and bestsellers, original fiction, journals, mythological texts, books on arts, folk culture and others, which are best enjoyed in their innate local language formats. Please check out our regional books store at http://www.infibeam.com/Books/best-regional-showcase.html ! 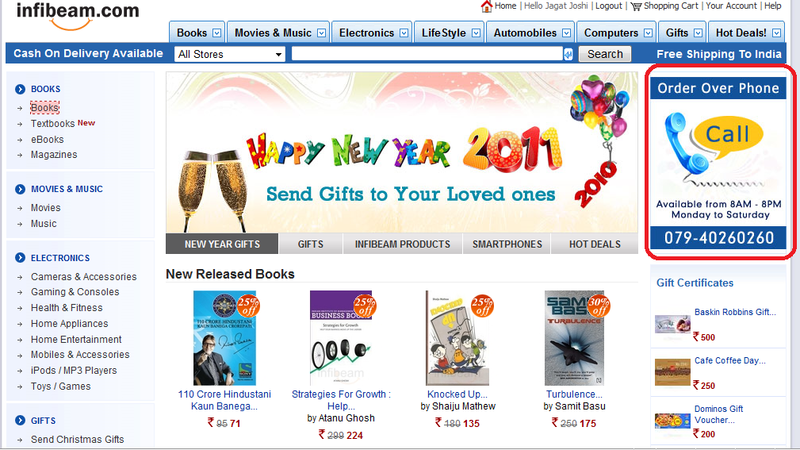 Currently, Infibeam.com sells 70 lakh books on www.infibeam.com/Books/ . These books have a wide range of prices based on the international editions vs. Indian editions, hardcover vs. paperback editions, and so on. We wanted to give even more wider selection and even better deals. How do we do that? By tapping into the used books market. This especially helps students, libraries, small companies and other cash-strapped organizations who wish to acquire these books. You can see this in action by clicking on "new & used" link on any book page. Check it out now! Infibeam launches Phi, Windows and Android-based touch screen tablets! Infibeam.com announces the Phi - an incredible touch screen media device that supports high definition multimedia formats, targeting Education and Bollywood content for consumers. Speaking on the first of kind launch in India, Mr. Vishal Mehta, our CEO and Founder, said "Phi is undoubtedly one of the most technically suave gadgets for viewing movies, listening to music, reading magazines and playing games. 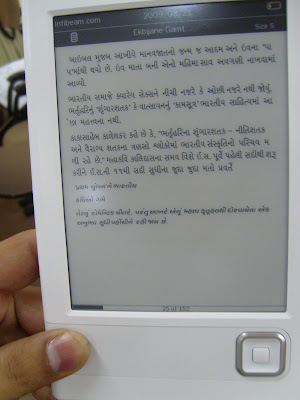 Ever since we launched the Pi earlier this year, India's first ebook reader supporting local Indian languages, several users have been requesting a device with touchscreen and color having wifi capabilities. Infibeam Phi is the perfect answer as it is equipped with innovative touch-screen technology, and a list of infotainment features." He adds, "The Phi supports many different media, adding to the appeal of the device". The best part is that you get a choice between Windows Phi and the Android Phi. This way, our customers have a choice of choosing the device based on the range of possibilities - from Microsoft Office on the Windows Phi to Android apps on the Android Phi! The Phi is slated for release on July 30, 2010 and will have a price tag of Rs 14,999. Please do let us know your feedback and thoughts. 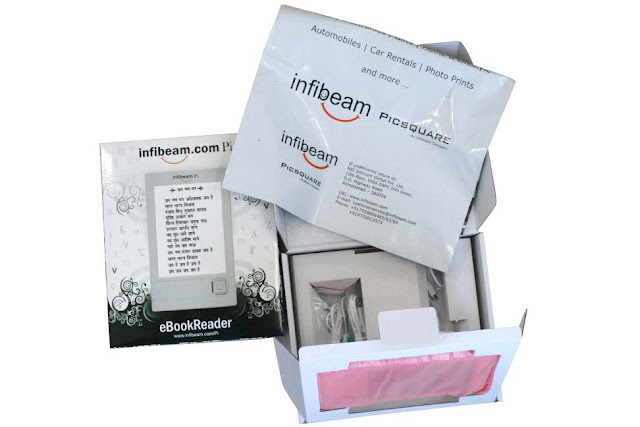 Infibeam has launched its own brand of mobiles! Infibeam has partnered with a global mobile phone manufacturer to launch a series of unique mobiles with features and applications that appeal to Indian consumers. Speaking on the launch, Vishal Mehta, our CEO and Founder, said "India has over 400 million mobile phone subscriber base with 10 million new users being added every month. The recent auction of 3G in India opens up great opportunities to think of mobile phones as a platform and offer services such as eBooks, mCommerce, mobile payments as well as other digital media". He added, "The company targets to scale up its handset sales by introducing models with applications that are well suited to offer these services to Indian consumers at competitive pricing." Please do let us know your thoughts and comments. Mirror, mirror, who's the greatest of them all? If I have to choose a winner amongst all the Online Book-Stores, it would be Infibeam, with Landmark a close second although it has its own technical issues. e.g. at the time of publishing, landmarkonthenet.com was down! 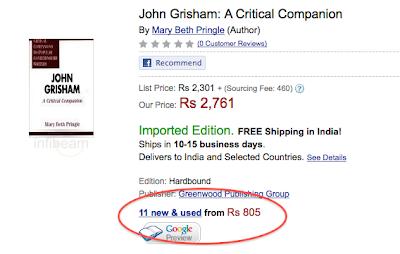 Flipkart.com comes out to be a little costlier. Rediff has its UI issues as I mentioned above. Lastly, Odyssey needs to stock up more books! Read the full blog post by Prem at http://indianmernoks.blogspot.com/2010/06/review-online-bookstores-in-india.html. NDTV, India's leading media player has just launched a branded shopping site www.NDTVShopping.com in partnership with Infibeam. Infibeam will manage the hosting, fulfillment and customer service for the online shopping website. This translates to the NDTV shopping website carrying a selection of more than 60 lakh products that spans across various categories such as Books, eBooks, Magazines, Music, Movies, Electronics, Gifts & Lifestyle products. 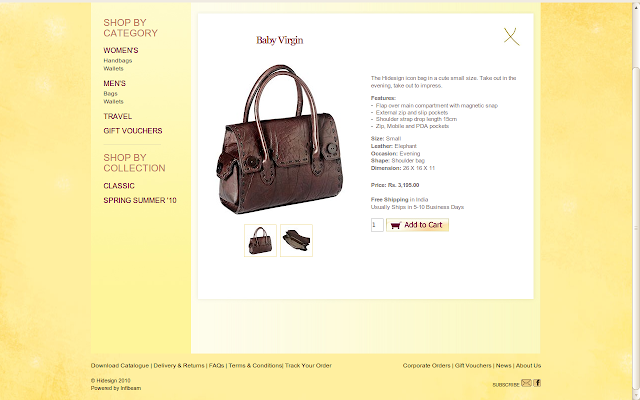 Check it out at http://www.ndtvshopping.com! For more details, please see our official press release. As you may have heard on the CNBC Young Turks Show, Infibeam is aiming to becoming a 100 crore revenue company by the end of the year. To get there, we need really good engineers to come be a part of making that happen. If you are interested or know someone who is interested, please kindly visit our Careers section. Watch Infibeam being featured today (Wed 9th June) at 8:30 PM on the CNBC Young Turks Show! Infibeam is the best site i came across the internet. 2 - Guaranteed delivery of products on time, so keeping their promise as said by them without any charges. 3 - The most important is The support Paypal as the payment option from india. My product was reached to me within 3 days and i live in a place where courier usually refuses to deliver product because they are unable to find my address. Honestly speaking if someone asked me to shop online I will go for Infibeam, its better then even ebay! E commerce space in India has been cluttered with multiple instances of mediocre online shopping experiences, and i am not writing about those experiences here but i am going to review www.infibeam.com and when i review anything then like any other user i will either like the website or hate it. And by the way i am writing about it you must have guessed it that i love it. There are not personal details crazy data mines. They accept a lot of payment options. They seem to use really good carriers (deccan 360) in my first order. Unbelievable service I shop the item online on 1st June 2010 at 1:57 PM and the item arrives at my address at 2: 30 PM 2nd June 2010 really amazing in a country where birthday cakes and flowers reach within a week after the birthday when ordered online. Yesterday, we discussed how we are powering ecommerce stores for big brands in India. Today, we'd like to highlight the most recent brand that we have powered - Hidesign's official website www.hidesign.com . 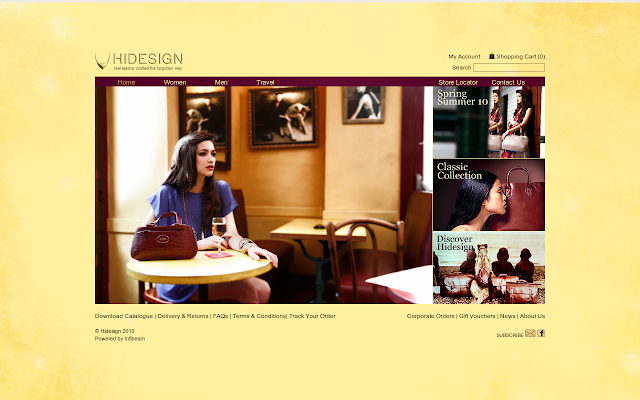 As you may already know, Hidesign is the iconic leather accessories brand from India. Speaking on the alliance, Mr. Vikas Kapur, International Director, Hidesign, who oversees Hidesign's website and e-marketing initiatives said "Hidesign's online website caters to a clientele that is diverse and distributed across the globe. We are delighted to launch a brand new website in association with our eCommerce partner Infibeam.com. Some of the highlights of the new website include an information rich shopping experience, search engine friendliness, and most important of all easy navigation & checkout." He added, "The fresh look & feel is true to our identity as a global fashion brand. The new website also includes a unique section presenting the history and timeline of Hidesign through a nice visual sketch." For more details, please see our press release. “In 2009, we were a ninety people strong. The recession had started to show signs globally but we were forward investing in growth. We started reviewing our cost structure and renegotiated some of our leases but continued hiring the best engineers which was a bold bet but well worth taking. “We always thought the biggest advantage we had was being one of the first mover with great technology for online retail in India. It was clear that online selling will still be a small portion of overall retail in India for the next few years, so we would make ourselves more successful by offering our technology to others. And the end-customer wins by having a great experience across online stores by different brands. 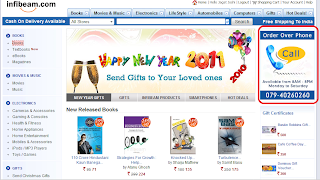 “We offered our technology services to retail and media partners like Futurebazaar.com, In.com Shopping and TTK Prestige. We have a strong pipeline of brands, media companies and retailers who will be using our technology services in the near future. 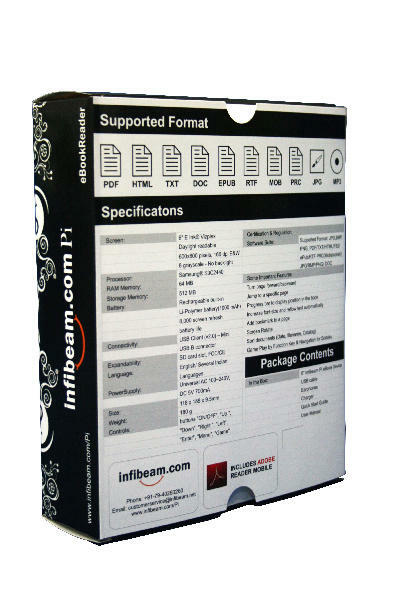 Retailers who use Infibeam's technology like the fact that Infibeam uses the same technology for its own online store, and all partners operate on the same platform. “While we have not publicized our services, our retail business has multiplied year over year. We always believed that our investment should continue into making a great customer experience, and less will go into shouting about our service. In any case, word of mouth is becoming more powerful. If you offer a great selection and customer service, people find out, period. Books Quiz Competition has started! After an extremely popular IPL Quiz competition, we decided to continue the fun by kicking off a Books Quiz competition! The Books Quiz Contest will follow the daily quiz pattern. Fascinating questions pertaining to books from diverse genres will be posted on the Infibeam wall on Facebook. Participants that know the correct answer will have to post their replies on the Infibeam wall. One lucky winner will take home a surprise gift that will make him/her come back for more! For more information, see the detailed page about the quiz. 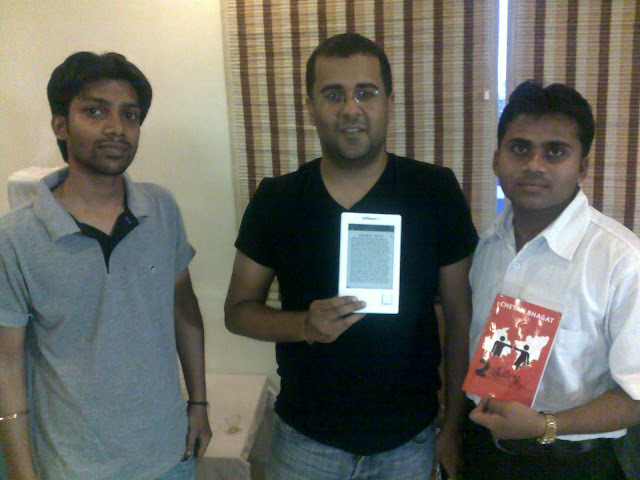 Chetan Bhagat with a Pi! Chetan Bhagat was in Ahmedabad for the Star Anchor Hunt Auditions. As you may already know, Infibeam's headquarters is in Ahmedabad. So we were lucky to get a chance to meet up with him. 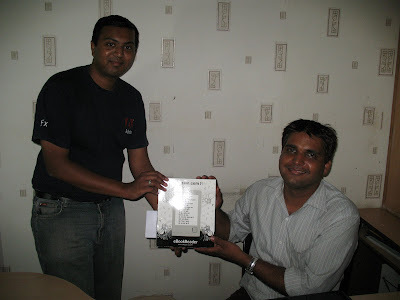 We chit-chatted about sales of his book on Infibeam.com as well as showed off the Pi to him! 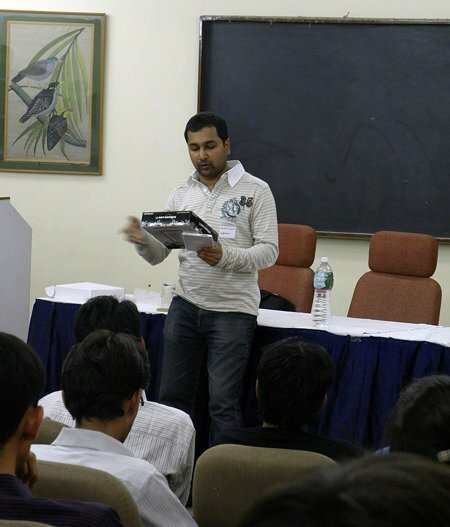 On a related note, Infibeam now ships Chetan Bhagat's books internationally, to more than 70 countries! 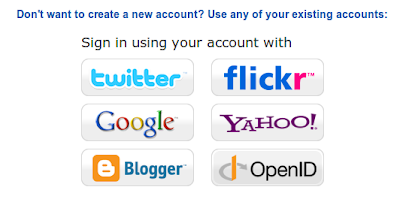 Login with Twitter, Facebook or your favorite social account! Social networks are where people hang out these days, it is the fulcrum of the time they spend online. And they are starting to expect the same kind of experience and personalization everywhere. We, at Infibeam, want to keep up with the times and expectations of our customers, so we are introducing a new feature - You can now login to Infibeam.com via your favorite social network! Note: Facebook support is coming real soon. We're the first ecommerce site in India to introduce such a feature to improve the usability of our site for our customers. So please do check out the new feature and let us know your feedback! Update: We have an official press release out! An essential part of online shopping is to read reviews by people who have bought or used that product. We don't buy without it! But how often do you and I go back to add reviews to a product? In order to incentivize this, we are launching a “Write a Review” contest! So if you write a good review and yours is the best review of the day, you get a gift voucher from Infibeam! Here are the rules. “As we have been discussing, we started out as a lead generator for selling cars and bikes. Customers started using our service and we started car rentals as well. Then customers started asking us for car accessories! This led us to look at expanding our store to other product domains. “To understand that expansion, let's take a step back and understand how ecommerce is different from normal retail shops. “The physical shops that you visit actually store merchandise (whether it is computers, CDs or books) that you can buy instantly from them at each location. The demand is local as well. Compare that to an ecommerce store – where we have a huge list of products that you can buy – BUT we do not have physical inventory repeated each location (in theory, we can satisfy country wide demand from one location and not have to replicate inventory at each location). 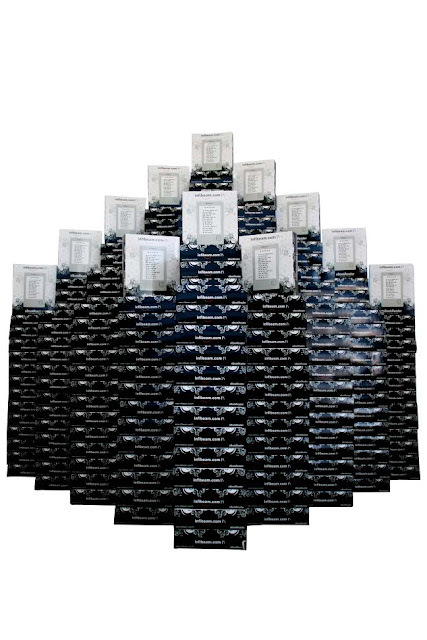 “It is very hard to forecast across lakhs of products when and how much inventory to order. In addition, order allocation across multiple locations is another big challenge. Initially, we started working with suppliers to reactively order the item after customer order is placed to reduce inventory risk. Across time, we had enough buying history to predictively order several products and we continue to fulfill merchandise across our many locations. This is the behind-the-scenes picture, let's see how Infibeam started building out that picture. First we needed the list of 'things' that we can sell, the “catalog”. The bigger the list, the bigger the “selection” for the customer. 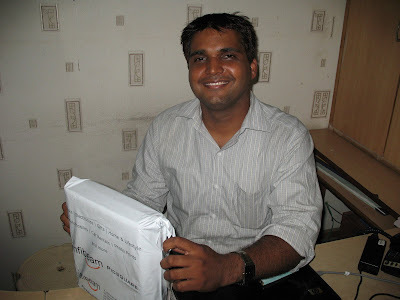 So, in early 2008, we acquired a small outfit in Delhi that created digital catalog for retailers. Subsequently, we expanded fulfilment operations in North India. We soon added more categories such as mobile store, health equipment, and cameras. In May 2008, we launched our books store with more than 3 million books in our catalog. We continued adding selection across retail categories like mobile phones, apparel, home appliances and many more. By the end of 2008, we were selling products across all retail categories and business was growing. We had the entire roster of products that we could possibly sell. Delivering Rashmi Bansal's "Connect the Dots"
Don't forget: You can buy exclusive author signed copies of the book ONLY at Infibeam! @sauravmodi says: “@rashmibansal ordered from infibeam.com..they claimed to deliver it in 5 working days but they delivered in say 2 days..great service..
Do let us know what inspired you in the book! Last, but not the least, Rashmi is already working on the third book! Read more about that in our interview with Rashmi Bansal over in our News section. We had the privilege of talking about Pi at the recent Barcamp Ahmedabad 3 where the topic of focus was "Creativity and Entrepreneurship". Some of the questions by the enthusiastic audience included developing apps for Pi, when are we launching a version with WiFi included, about touch screens and Pi, and so on. We know that "yeh dil maange more", and we are all for it. We are already hard at work on the next generation of Pi, and adding features that make sense now and the ones which are most beneficial. We can't promise adding all your feature requests straight away, but we are definitely considering all of them! For example, most people never considered local language support as an important feature until we announced the Pi. Those are the kind of latent needs and important needs that we are also looking at. For more info about Barcamp Ahmedabad 3, please do read Paras Shah's photolog of the event. We have had a IPL Quiz everyday for the past few weeks over at our Facebook page and getting amazing participation (currently, 1300+ people!) with people winning autographed bats, books, headphones, SD cards, and so on. And importantly, we're all having a whole lot of fun in discussing the IPL matches. 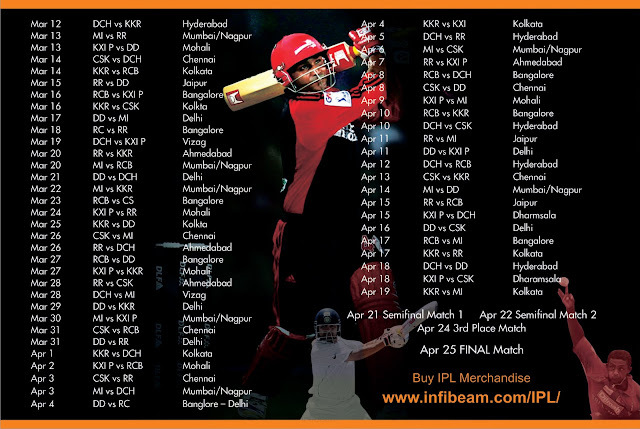 Because it has been so much fun, we decided to go up a notch, and are now starting the "IPL Fever Quiz at Infibeam". The rules are simple - Answer all the questions through the course of IPL, and we'll pick a lucky winner who correctly answers each question, and the bonus - we have a mega "surprize" in store for one lucky winner among people who answer all the questions (which will go on till the IPL season ends). So let the IPL Fever Quiz begin! Prizes include Nokia phones, pen drives, video games, and much more! Many people have been asking on Twitter whether there any independent reviews about the Pi, so here is the list so far that we know of. Please let us know if there are any reviews we have missed, and we will add it here. Get your IPL Calendars here! 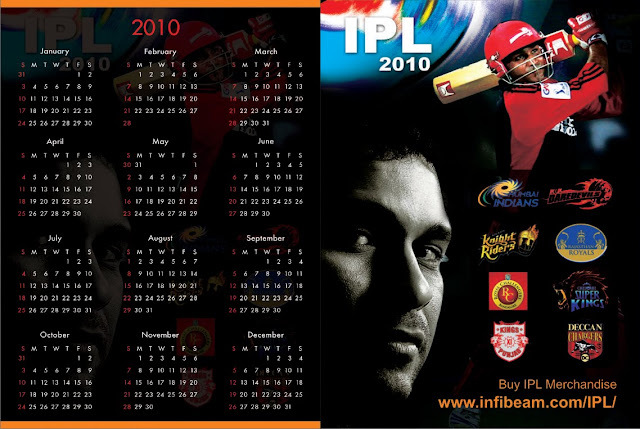 For every official IPL merchandise that you buy, we will soon be shipping a free IPL calendar/schedule! You can also download these as wallpapers - calendar, schedule. The IPL Quiz Mania - Participate & Win Daily! IPL season 3 is off to a roaring start. The long wait is finally over and while players are gearing up to put their best foot forward, the cricket fans are busy grooming themselves. Wearing your favorite team's T-Shirts, caps and other IPL merchandise is the 'in' thing and the most important way to express your loyalty! To make such merchandise available to you quickly and conveniently, we became a part of this, and InfiBeam is the official store for IPL merchandise. In keeping with the cricket mania, we are now announcing a cricket quiz for all cricket fans. There are a host of exciting prizes to be won everyday, right till the end of IPL Season 3. There are also surprise gifts in store for lucky chosen participants. Answer questions, prove your craze for cricket, and win exciting prices daily! So, if you are a cricket fan, participate and get lucky! For more information please visit www.infibeam.com/IPL/quiz-contest-a.html. Note: Prize details will be announced on each day along with the question. The Official IPL store is powered by InfiBeam! We are proud to inform all cricket fans that the Official IPL store is now powered by InfiBeam! Visit http://www.infibeam.com/IPL/ to get T-shirts, caps, bats, mugs, etc. of your favorite teams - Chennai Super Kings, Deccan Chargers, Delhi Daredevils, Kings XI Punjab, Kolkata Knight Riders, Mumbai Indians, Rajasthan Royals, and Royal Challengers Bangalore! 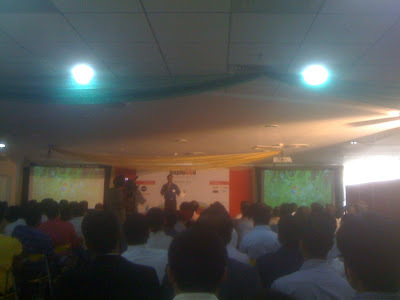 We had the opportunity recently to showcase the Pi at the first Unpluggd event on Saturday, March 06, 2010. We were blown away by the response! After the demo, three of us were answering questions for more than two hours. It was heartening to see the interest from other entrepreneurs, from avid book readers, from potential customers, and generally curious folks. Q: How many Pis have you sold so far? A: While we do not publicly disclose the exact number, what we can tell you is that we plan to sell 20-30K Pis in the initial few months and we are on target. To date, we have already sold several thousand. A: We are evaluating the requirements of our customers and making the right design choices on behalf of our customers. Of course, including wireless connectivity is high on priority and we are also closely following 3G rollout. You can expect the subsequent versions will have connectivity and more applications that can utilize fast downloads. Of course, we are working on a large repository of content and making it available on the device. Today, we have more than 1 lakh ebooks from most major publishers and we are working with many publishers in India so you will see more local language content available.